The purpose of National Longevity day is to get us thinking about our health, lifestyle, living longer and living life well! Can we go the distance? Or at least can our body? Longevity can hold several meanings, including living a long life or referring to an individual who has lived for an extraordinary amount of time. The UK population continues to grow, with births exceeding deaths consistently over the last 60 years. People are living longer than ever thanks to improvements in healthcare and lifestyles. Believe it or not we are now seeing super-centenarians – this is people who are living beyond their 110th birthday! In fact, there are 6 super-centenarians living in the UK at present. With all of this in mind it is becoming clearer than ever before how important it is to look after our bodies and minds. Our choices made yesterday, today and tomorrow will ultimately determine how long we live for, and what the quality of our lives will be like. As physiotherapists, we are asked on a daily basis what we can and should be doing to improve our overall health. More specifically, how we can get the most out of our bodies to enjoy a fulfilled, happy and healthy life. Within our profession, we are trained to assess and treat holistically, taking into consideration the physical, mental and emotional aspects of our clients. Each individual is unique and multifaceted; therefore, one answer or choice may not be right for another. Thanks to research regarding longevity, age and age-related diseases we have learned a few things that can help us to live longer and live well. So what do we know and what is recommended? Currently the recommendations for calorie intake stand at 2,500 kcal for men and 2,000 kcal for women. These recommendations can then be used to factor in activity levels, lifestyle and weight-loss goals. With a healthy, well-balanced diet, excellent hydration is vital, as our bodies are comprised of two-thirds water. Common signs of dehydration are feeling lethargic and sluggish, struggling to focus and headaches. The daily recommendation is 6-8 glasses of water, however, other drinks can keep us healthy and hydrated too. If we don’t enjoy water, choose an alternative but bear in mind that other drinks may contain additional calories or caffeine. The benefits of exercise are astonishing when we look at the research. For many, exercise can be difficult to fit into a hectic schedule. For others, the thought of exercise can induce loathing, apathy, fear and anxiety. Exercise does not have to be expensive, it is not restricted to an age range or gender, and it does not have to involve a gym or weights. What is most important is that we are doing something that works for us, something we enjoy and connect with, something we will be willing to make time for. With individuals living longer and a greater focus on lifestyle comes a multitude of options. Chances are there is something out there for everyone, no matter how different we all are. If you would like more advice on your health and what exercises best suit you and your body, talk to us. 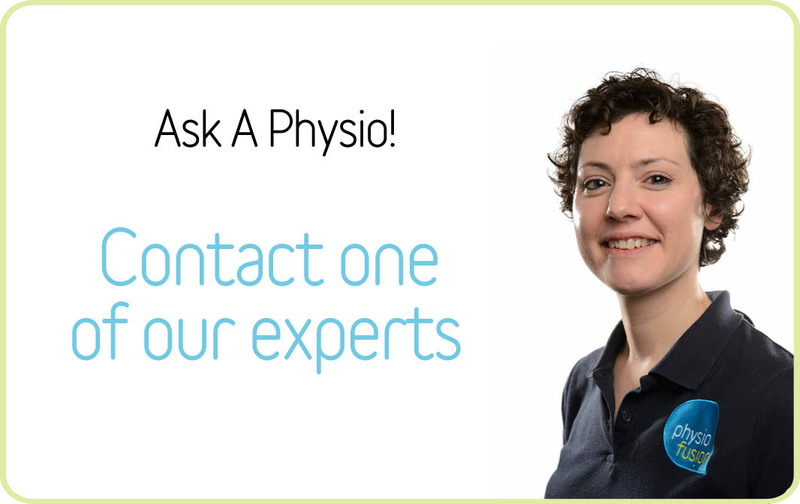 You can use our FREE Ask-A-Physio service online and ask your questions to our team of professional therapists.